For $3 million, the super rich can put an IMAX theater in their homes. Tired of racing to your local IMAX theater only to be crammed next to a loud, texting stranger, or worse, find the movie is sold out completely? You can now build an in-home IMAX of your very own, for a price. For about $3 million, the 3D theater company can install one of its screens, along with the necessary carpeting, projectors, seats and lighting in the comfort of your own mansion. Then you can watch Hollywood blockbusters the day they hit theaters -- for an additional $500 a pop. You can also watch sports, play video games and stream concerts as the enormous, crystal-clear projection screen and custom sound system throws you into the action. Related: The babysitter costs HOW much? So far, there is only one in-home IMAX. The company installed it last November in the California home of someone in the entertainment business. But IMAX has contracts for four other California homes, one in Arizona, two in Florida and one in India. It's even in talks to install one in a New York City condo building and on a yacht. 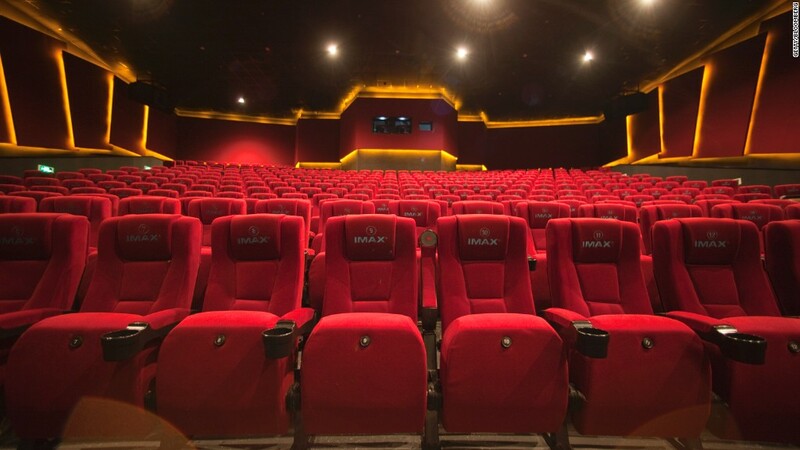 Larry O'Reilly, executive vice president of worldwide sales, said having an IMAX at home is a huge luxury for celebrities who can't necessarily go out to a public movie theater in peace. He's also gotten a number of requests from people in the MIddle East, who don't have a theater a few miles away. "The people are from different backgrounds but the common denominator is that they're wealthy," he said. None of this was possible until recently, because IMAX used to use a film-projection system, and the film needed to project a full-length IMAX movie could sometimes weigh several hundred pounds. That's all changed now that it's digital. One roadblock that remains is space. O'Reilly said that IMAX needs a room that's a minimum of 21 feet wide, 11.5 high and 20 feet deep, plus an additional eight to 10 feet for the projection.